LG is leaving no stone unturned in creating interest around its upcoming G6 flagship. Soon after confirming Quad DAC support for the G6, LG has now confirmed that the smartphone will be given out to select users under ‘Preliminary Experiment Group’ ahead of the actual launch. The South Korean company has also reportedly shared a new teaser that promises “reliability” for LG G6 users. 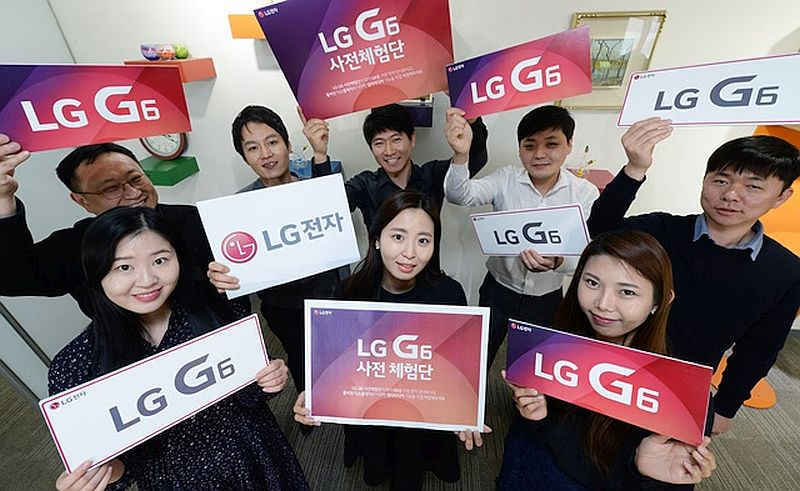 LG has announced that it will ship the G6 to selected users under the company’s ‘Pre-release Strategy Recruiting’ which will help the company to collect feedback from consumers ahead of actual release in the market. LG has already made a smart decision to use Snapdragon 821 SoC which will give it a headstart against Samsung’s next flagship smartphone which is not expected to go on sale before April. The company is running several contests on its social platforms to choose limited users which will receive the G6 later this month. LG has announced that it will select 210 users which will be receiving LG G6 for trails ‘free of cost’. Unfortunately, the pre-launch trials program seems to be limited to the South Korean market. Separately, LG has shared a teaser with Android Central teasing “reliability” in its latest attempt to create hype around the G6. According to an image shared by LG, the company says, “Reliability. Check, Check, Check.” alongside a tagline that says “witness the next-generation smartphone brought to you first by LG.” The teaser image includes the launch date for the LG G6 smartphone. The company further is seen stressing on quality of its smartphone and also teases free screen replacement option. In another teaser, LG says, “I don’t want to keep paying for fixing a cracked screen or anything.” The second teaser could be an indication that the company may be utilising Moto-like technology for a shatter-proof display screen. Though for now, it’s too soon to comment on anything. We will have to wait till LG’s February 26 event to see what the company has in stores for consumers. Android Central also points that LG may be bringing a permanent fix to the company’s bootloop issue that has plagued other LG devices in the past. The South Korean company previously had to acknowledge bootloop issues on the LG G4 and LG V20. LG’s G6 flagship smartphone will be unveiled at the company’s February 26 event which will begin at 4.30pm IST (12.00pm CET). 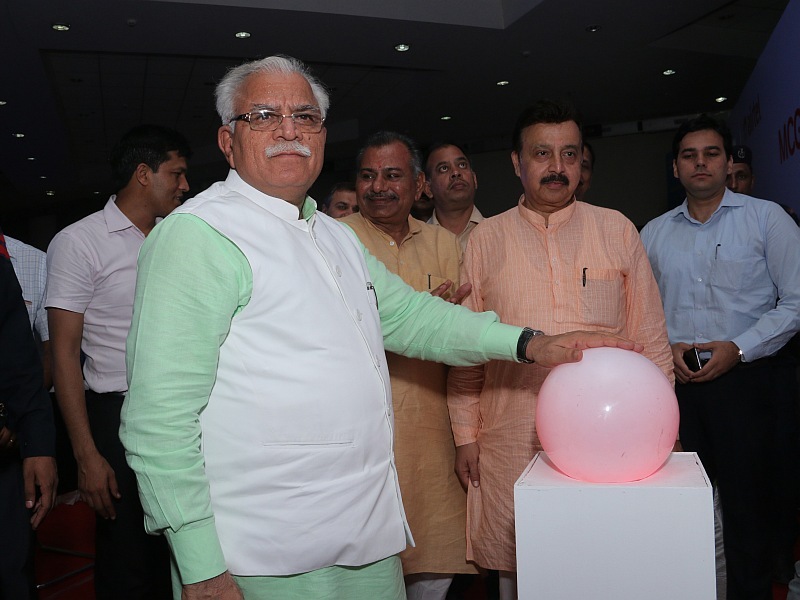 Haryana Chief Minister Manohar Lal Khattar on Sunday launched public Wi-Fi hotspots to provide wireless Internet connectivity to users in Gurgaon. People visiting MG Road, Sadar Bazaar, Sector 29 market, and Sarhaul Village can enjoy free Wi-Fi sessions on their devices. Users will be able to enjoy a free daily quota limit of 30 minutes per day per device, Airtel said in a statement. Airtel had won the mandate for the Wi-Fi launch from Municipal Corporation of Gurgaon last year. The free Wi-Fi service is open to all users with compatible devices. When in proximity to the Wi-Fi, the user has to just enable Wi-Fi in device settings and search for ‘MSG powered by Airtel’, Airtel said. One can continue to use the Wi-Fi services post 30 minutes also, however they will be charged a nominal amount, Airtel said.